Domaine des Fleurs resides within the town of Grasse. Grasse is a commune in the Alpes-Maritimes department on the French Riviera, within the region Provence-Alpes-Côte d’Azur. 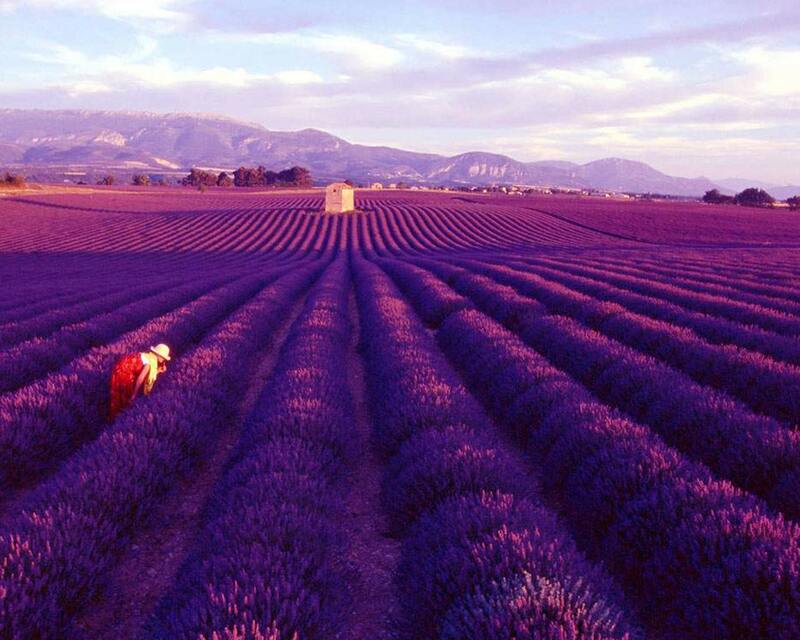 The town is considered the world’s capital of perfume, with many calling Grasse the ‘Gateway to Beyond’. During the Concours des villes et villages fleuris contest, the town obtained two flowers and was made “Ville d’Art et d’Histoire” (the town of art and history). In the Middle Ages, Grasse was known for its tanners (people / businesses that tan animal hides), that were installed around the little canal that cuts through the town. The abundance of lamb from the surrounding mountain pastures, gave Grasse a reputation and today decorates the city’s emblem. The softness of the lambs’ leather and the quality of the savoir-faire of its artisans had just one flaw; the smell from the hides could make one ill.
To remedy this, the perfumer Gallimard first had the idea, also during the Renaissance, to make a pair of perfumed gloves that he gave to Catherine de Medici. The fashion was launched and this innovation would contribute years later to the recognition by the court in 1614 of the new guild of “glover-perfumers”. It was during the modern period that perfumery took on greater importance. Artisanal production evolved within three major houses, Gallimard, Fragonard and Molinard. In the middle of the 17th century the process of cold enfleurage appeared, allowing for extraction of the most delicate flowers like citrus blossom, jasmine or tuberose. Perfumery federated a whole world of artisanal activity and a multiple economy emerged. The 19th and the 20th century signalled the progressive industrialization of the trades, in particular for extraction, now via volatile solvents patented in 1894 by the industrialist Léon Chrisis or later, organic synthesis made possible synthetic products of which the mythical Chanel No 5 is the finest example. At this time, Grasse was at its peak. Chanel, like Rochas or Dior, owned their own fields of flowers. If Grasse was a perfume, the three houses would make up the top note, the gardens the heart notes, and the surrounding countryside the base note. Gardens fountains and the surrounding fields of villas in the region, still marry with the ancient Provencal village, which continues to live to the rhythm of its harvests. Rose and jasmine are particularly celebrated. The first in May, with no less than 15 days of festivities around the Exporose and Mother’s Day, the second, a week at the beginning of August with flower parades which fill the whole town. Now very touristy, the town is preferable in low season. To the south of us, a short 15 km away, is Cannes. A beautiful town with its stylish yachts, fine-sand beaches and luxury shopping. A 30 minute drive to the east of us is Nice. Nice features its international airport, pebble beaches and the bustle of a busy city. If you turn inland from us, you are immediately within hills, forests, canyons and rivers of Beyond.